Tim Chaffey, AiG–US, examines three lesser-known attempts to deny the Resurrection. These views have gained very little traction among skeptical and critical scholars. Over the past several articles we have critiqued the leading alternative hypotheses that have been developed in attempts to explain away the Resurrection of Jesus. Each of these ideas contradicts Scripture, and each is woefully inadequate at explaining the facts. Instead, we have seen that historical and archaeological evidences are perfectly consistent with Christ’s conquering of death recorded in God’s Word. Nevertheless, many critics and skeptics have remained undaunted and sometimes resort to even more outlandish theories to justify their unbelief. In this article we will examine three lesser-known attempts to deny the Resurrection. For reasons that will become obvious, these views have gained very little traction among skeptical and critical scholars, but these ideas highlight just how desperate some unbelievers are to keep Jesus in the tomb. Kirsopp Lake (1872–1946), a critical New Testament professor, suggested that the women simply went to the wrong tomb, assumed that He rose from the dead, and then ran away. They eventually told the disciples about their encounter with an empty tomb, which led to the disciples experiencing visions of the risen Lord. Lake’s proposal has not gained a following since it is beset with so many obvious problems. First, Lake conveniently omitted some words from his quotation of Mark 16:6 , but had he cited the rest of the verse, his hypothesis would have immediately crumbled. Mark actually wrote, “ But he said to them, ‘Do not be alarmed. You seek Jesus of Nazareth, who was crucified. He is risen! He is not here. See the place where they laid Him’ ” ( Mark 16:6 , emphasis added). Second, this view does not provide any explanation for the disciples’ belief that they had actually seen, eaten food with, and touched the risen Lord. These “infallible proofs” ( Acts 1:3 ) of the Resurrection cannot be ignored if someone intends to propose a viable alternative to the biblical explanation of Christ’s Resurrection. 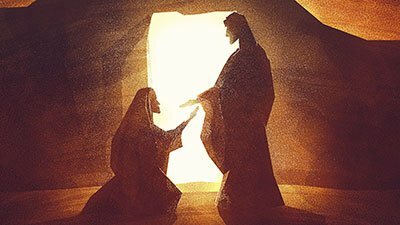 Furthermore, the empty tomb was not what convinced Christ’s followers that He had risen from the dead;2 it was the physical appearances of the Savior that won them over. Third, even if the women went to the wrong tomb, the proclamation of the empty tomb would not persuade skeptics like James and Paul. Paul would have simply assumed that somebody moved the body. It was the post-Resurrection appearances that convinced these former skeptics. 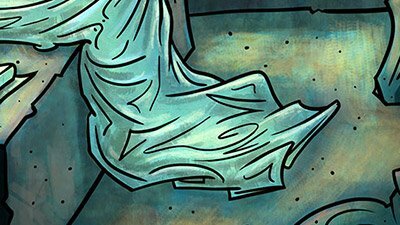 Fourth, Lake’s proposal does not explain what fresh grave cloths were doing in the wrong tomb. Did somebody else just rise from the dead out of that wrong tomb? Was someone else’s body recently stolen from that tomb? Fifth, it is conceivable that the women could have gone to the wrong tomb in the wee hours of the morning. But the Bible tells us that “ Mary Magdalene and Mary the mother of Joses observed where He was laid ” ( Mark 15:47 ), and it is highly unlikely that they would forget in three days where the One they loved was buried. Furthermore, even in the unlikely event that the women went to the wrong tomb, we must wonder why two angels visited the wrong tomb, why Peter and John ran to the wrong tomb, and why Roman soldiers guarded the wrong tomb ( Matthew 28:1–4 ). Believing that this alleged mistake could spark the Christian faith is ridiculous. The early Christians claimed that Jesus was buried in a tomb, and not just any tomb, but the tomb of Joseph of Arimathea, a member of Israel’s great Sanhedrin and secretly a disciple of Jesus ( John 19:38 ). Surely, he could have remembered where his own tomb was. Furthermore, as the Christian faith began to spread throughout Jerusalem, the Jewish leaders could have easily ascertained from Joseph where his tomb was (if they didn’t already know). And if the Resurrection were just a hoax, they could have produced the body of Jesus and paraded it on a cart through the streets of Jerusalem. Christianity would have ended as soon as it began. Instead, the Jewish leaders of the day agreed to promote with the Roman soldiers an explanation that they knew was false ( Matthew 28:11–15 ). No one has proposed any logical reasons why the body of Jesus would simply cease to exist in the tomb. In 1959, G. D. Yarnold described a fanciful hypothesis in his book Risen Indeed. According to Yarnold, “the material body of the Lord ceased to exist, or was annihilated.”3 This view has gained very little support for obvious reasons. Second, the annihilation proposal acknowledges that the tomb was empty, yet gives what amounts to an argument from silence to explain how it was vacated. As far as we know, the total annihilation of a body leaving no remains would be entirely unique. To annihilate the body and yet leave the grave clothes would be even more astoundingly unique. Only God could do such a thing—natural processes surely aren’t up to the task. But the only real God there is—the God of the Bible—clearly says in His Word that He raised Jesus from the dead. He did not annihilate Christ’s body. Those who believe in the Resurrection of Jesus can point to Christ’s prophetic statements that He would rise ( Matthew 12:39–40; 16:21; 20:18–19 ; John 2:19–22 ), and Scripture describes at least eight other individuals who were raised from the dead, so there is precedent for such an event, particularly associated with Jesus.5 It is special pleading to suggest that the one person in all of human history whose body was annihilated after death just happened to be Jesus—the single most influential person who has ever lived, whose exclusive claims have incurred the animosity of millions, and who just happened to predict His own death, burial, and Resurrection. Finally, the annihilation view cannot account for three of the five key evidences—the reported appearances to the disciples, the conversion of James, and the conversion of Saul of Tarsus. At best, this position only gives an outlandish justification for the empty tomb, but it must rely on one or more of the other flawed views to explain the appearances. The séance view suggests that “the personality of the dead Christ was reproduced through a medium or else manifested itself by ectoplasm [the vaporous, luminous substance believed by spiritualists to emanate from a medium in a trance].”6 Like the annihilation view, hardly anyone accepts this proposal because, in addition to questionable paranormal activity, there are just too many problems. First, the anti-supernatural skeptics cannot adopt this view since it relies upon a metaphysical explanation for the Resurrection. If they were to grant legitimacy to this view it opens the door for other supernatural explanations, such as the biblical view. Second, it assumes that the disciples, devout Jews who were not even looking for the resurrected Savior, engaged in a practice strictly forbidden in the Old Testament. Third, the séance view does not account for the empty tomb, since the body of Jesus would have remained in place. Nor does it provide an adequate explanation for the appearances to skeptics like James or Paul. Surely Paul, a law-abiding Pharisee ( Philippians 3:5–6 ) who persecuted Christians to death ( Acts 22:4 ), would not seek to contact the spirit of Jesus via a séance. Finally, the descriptions of the Resurrection appearances do not even come close to matching some sort of ectoplasmic phantasm allegedly called up during a séance. While the Bible possibly provides an example of this type of occult activity ( 1 Samuel 28:3–25 ), the circumstances of King Saul consulting a medium are very different than the descriptions of the appearances of the resurrected Jesus. According to Scripture, Jesus appeared to people in a variety of locations, including near the tomb, a roadway, a hillside, the seashore, a locked house, and the Mount of Olives. 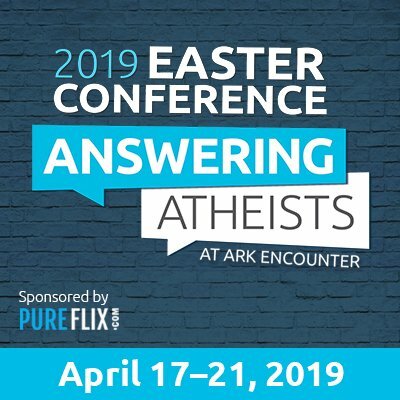 We have completed our examination of the alternative hypotheses developed by critics and skeptics in their efforts to deny the Resurrection of Jesus Christ. These views all contradict the inerrant Word of God and fall woefully short of explaining the evidence. In fact, every argument raised against the knowledge of God ( 2 Corinthians 10:5 ) will crumble just like these alternative theories have. Falsehoods cannot stand, but the Word of God will stand forever ( Matthew 24:35 ). Christians can take comfort in knowing that Jesus not only died for their sins, but He also rose from the dead a few days later. These core Christian truths have been attacked for centuries by leading critics and skeptics. But even their best explanations pose no threat to the truth and reveal that they are merely grasping at straws in a futile attempt to excuse their sin and justify their unbelief. On the other hand, unbelievers should be quite concerned. If Jesus rose from the dead (and He did), then He is precisely who He claimed to be—the Son of God who will one day return in judgment against sinners ( Matthew 26:63–64 ; 2 Timothy 4:1 ). If you are an unbeliever, take a close look at the best alternatives your fellow unbelievers have developed in response to the Resurrection. Here’s my question for you. Which one? Which one of these erroneous and unsubstantiated views are you placing your faith in? Which one are you clinging to in hopes that you won’t have to face the risen Lord and Savior Jesus Christ on Judgment Day? The Bible provides a glimpse of what your future meeting with Jesus will entail. One way or another, every person will bow the knee before Jesus and confess that He is Lord. Please don’t wait until it is too late. You do not know when you will draw your last breath or when Jesus will return. If you neglect His salvation until then, you will still bow before Him and confess Him as Lord, but you will then face His wrath, suffering eternally for your sins against the infinitely holy God. I urge you to do it now willingly—turn from your sins and call upon the risen Jesus to save you from His coming judgment, and then enter into the joy of personally knowing the good, loving, merciful, gracious, kind, faithful, all-powerful, all-knowing, holy, majestic, eternal, sovereign Creator of heaven and earth. Kirsopp Lake, The Historical Evidence for the Resurrection of Jesus Christ (New York: G.P. Putnam’s Sons, 1907), 251–252. A possible exception to this is John. 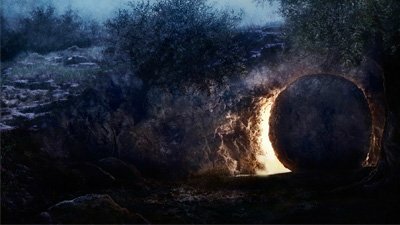 Some scholars conclude that he believed in the Resurrection upon seeing the grave clothes in the otherwise empty tomb. This is based on John 20:8 , which states, “ Then the other disciple, who came to the tomb first, went in also; and he saw and believed. ” See, for example, John F. MacArthur, The MacArthur Study Bible (Nashville, TN: Thomas Nelson, 1997), note on John 20:8 . Others think that at this point “ the other disciple ” (almost certainly John himself) had believed Mary Magdalene’s claim that someone had moved the body out of the tomb to an unknown location ( John 20:2 ). Support for this interpretation is found in John’s next verse, “ For as yet they did not know the Scripture, that He must rise again from the dead ” ( John 20:9 ). Also, John does not distinguish himself from the other disciples in John 20:20 who did not believe Jesus was risen until they saw the evidence of His hands and side. Even if John did believe at this point, the empty tomb was not what convinced the remaining disciples of the Resurrection. G. D. Yarnold, Risen Indeed: Studies in the Lord’s Resurrection (New York: Oxford, 1959), 22. Cited in Merrill C. Tenney, The Reality of the Resurrection (Chicago, IL: Moody Press, 1972), n.p. Electronic version of the chapter in which this statement appears is available from www.rediscoveringthebible.com/Realitych6.pdf. Accessed February 1, 2013. Even if the highly questionable idea known as spontaneous human combustion (SHC) is proposed to explain the annihilation of the body, it would not apply here. In those odd cases identified by some as SHC, the charred remains of the individual are found, so this would not match the annihilation proposal. For the accounts of people raised from the dead see 1 Kings 17:17–24 ; 2 Kings 4:8–37; 13:20–21 ; Luke 7:11–15; 8:49–56 ; John 11 ; Acts 9:37–40; 20:9–12 . Each of these people was raised in their own earthly body and would eventually die again, while Jesus was raised in a glorified body and can never die again. Some believe that Jonah died while in the great fish ( Jonah 2:2–6 ; cf. Matthew 12:39–40 ). Also, Matthew 27:52–53 is an intriguing passage describing the raising of many saints at the time of Christ’s death.